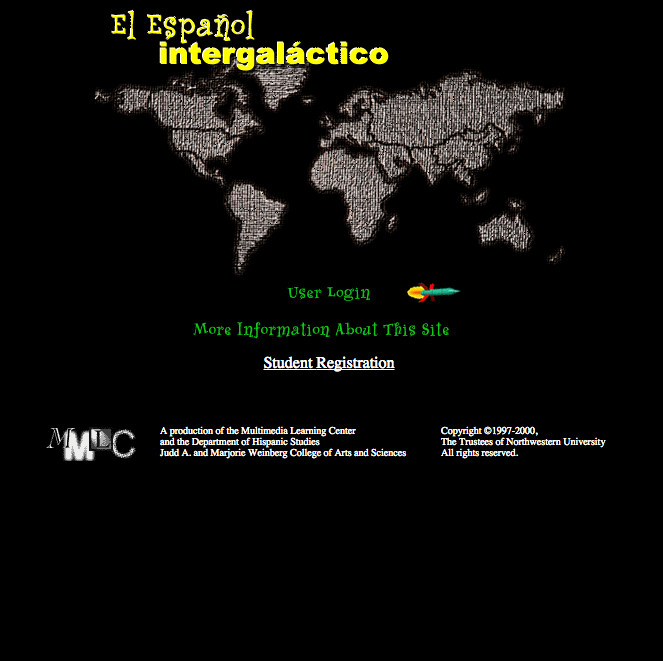 El Español Intergalactico is an online web-based Intermediate Spanish grammar text and workbook. Approximately 100 undergraduates enrolled in a second-year Spanish language course use the site. The program is composed of twelve units. Each unit contains grammar lessons, interactive exercises and tests. Short streaming digitized video clips elicit students’ open-ended responses for a more creative use of the language. Students can post questions to the Virtual Tutor, an online discussion forum, and receive feedback from an instructor that is shared with everyone. The back end of this program builds student user portfolios, recording the input on the practice tests, the actual tests and their grades.